A member of the firm’s Corporate Department, Michelle handles a wide array of corporate matters, including entity formation, management, growth, acquisitions and transfers. Michelle advises middle-market public and private companies in a variety of transactional and corporate finance matters, including mergers and acquisitions and commercial financing transactions. Michelle works with clients on their privacy-related matters drafting policies and notices for corporate websites, and helping them to stay in compliance with privacy-specific laws, rules and regulations. With a strong background in the commercial arts, Michelle has become well-versed in copyright and trademark matters, including application preparation, protection and licensing. 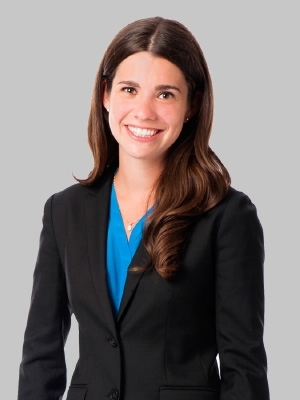 Michelle previously served as a summer associate at Fox Rothschild, where she assisted with corporate, real estate and intellectual property matters. Additionally, Michelle served as a judicial intern to the Honorable Elizabeth T. Hey in the U.S. District Court for the Eastern District of Pennsylvania and a certified legal intern for the Farmworker Legal Aid Clinic, as well as an intern at a Philadelphia-based law firm. During law school, Michelle served as manuscript editor of articles for the Villanova Law Review and was a research assistant to Professor Anne Bowen Poulin. Prior to law school, Michelle worked as the assistant registrar at a contemporary art gallery in Manhattan, NY. In this role, she managed the collection records and inventory, prepared loan and consignment agreements with national and international institutions, and coordinated domestic and international shipment, storage and inspection of artwork. Michelle also studied abroad at the University of Urbino in Italy and The Rova Institute in Israel. The laws and regulations governing international trade are especially complex and can be overwhelming for companies doing business across national borders. The rapidly expanding global marketplace, however, has made compliance more important than ever. Failure to heed these laws can have serious and lasting consequences as dire as criminal charges against the company and individual employees. This blog will offer a steady stream of updates on a broad range of international trade issues, including customs/import compliance, export controls and sanctions, the Foreign Corrupt Practices Act (FCPA) and cross-border contracts.